Meinhardt was invited to participate in guiding high school students from the Sir George Monoux Sixth Form College in Walthamstow, East London. The students were required to come up with a project that is economically sustainable while having a positive impact on society. The students decided on a sustainable playground model which incorporated renewable energy systems that could power the playground equipment. In addition to this, kinetic energy sourced from activity on the playground was to be harnessed. Meinhardt asked a few of the engineers in the London office to put together a general outline on how the students could break down and approach their desired project. 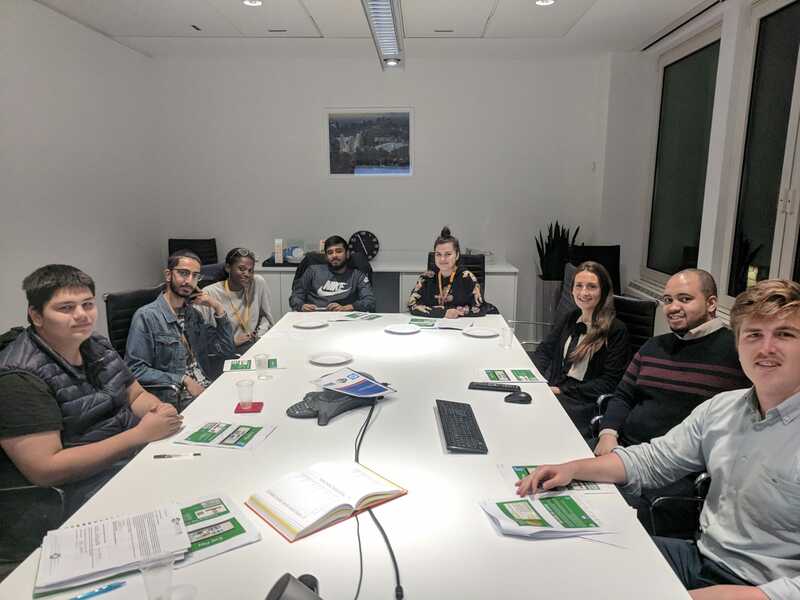 Following this, a presentation session hosted by Meinhardt was attended by Miss Sarah Crawford-Singh (Deputy Pathway Leader – Enterprise and Management), and students Rinesa Zeqa, Destiney Oshodi, Zanfer Sehuthavuth, Rohan Bari and Zlatan Zlatanov. The presentation was planned and given by Meinhardts’, Nnamdi Kotu-Rammopo (Civil Modelling Technician), Megan van Dessel (Mechanical Engineer), Nathaniel Gregory (Senior Engineer), Dean Welch (Structural Engineer), Charlotte Robertson (HR Manager) and Ladislav Szantai (Senior Mechanical Engineer). The presentation covered the following topics. Authorities, councils, and regulatory boards that control construction projects. Possible funding models and project sponsors. A background on renewable energy. Realistic ideas of power generated from renewable energy sources. Methods that may be used to estimate the cost of power generation. The possible return on investment in the long term. An overview of costing and pricing in engineering. Engineering procedures and principals for controlling project finances. The presentation was well received by the students, and a Q&A session was held to allow the group to engage. It was a great learning session for the engineers, the teacher and the students overall.